Wellesley is a finished 95-acre residential community in the Town of Lexington consisting of three distinct price ranges. Holiday Homes, Ryan Homes, Fortress Builders and DR Horton Homes made up our building team and offered new homes starting from the $130's. 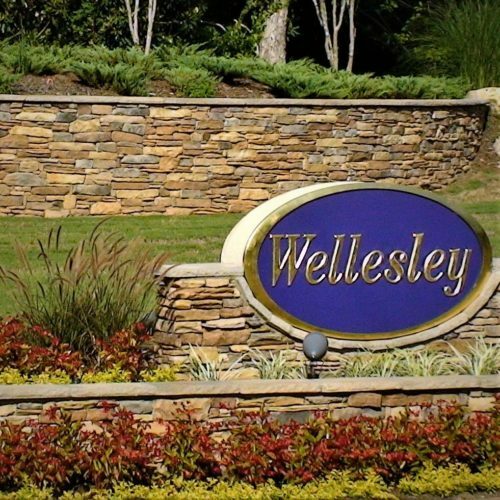 In 2009 through 2011, Wellesley performed as the best-selling new home community in Lexington, SC. Amenities in Wellesley are plentiful including: a swimming pool, summer kitchen, covered party area, playground, and activity fields. Students of Wellesley enjoy access to Meadow Glen Elementary, Meadow Glen Middle, and River Bluff High Schools as part of the Lexington School District One attendance area.